Reverend Moss has been actively involved in advocating for the achievement of education, civil and human rights and social justice issues for all of his adult life. His board memberships have included The Cleveland Museum of Art and the Cleveland Foundation. 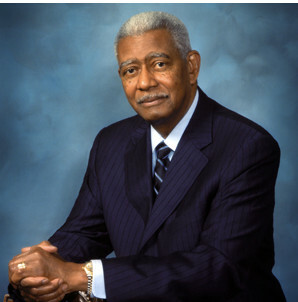 Dr. Moss served as the Chairman of the Morehouse College Board of Directors for over ten years. He served as board member and Regional Director of SCLC during Dr. King’s tenure as founding president. He also served as national board member and trustee of the Martin Luther King, Jr. Center for Non-violent Social Change. His work in the international community has taken him to Hong Kong, Brazil, Taiwan, Japan, West Africa, South Africa Israel, India and Switzerland. He served as an advisor to former President Carter at Camp David and in 1994 he was the special guest of former president Clinton at the Peace Treaty signing between Israel and Jordan. He formally served on President Obama’s White House Office of Faith-Based and Neighborhood Partnership Council. In 2009, he co-lectured with Rajmohan Gandhi, the Grandson of Mahatma Gandhi, during a multi-city tour of India illuminating the work of Dr. Martin Luther King, Jr. and Mahatma Gandhi. 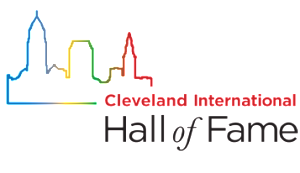 Reverend Moss is the recipient of numerous awards, including the Role Model of the Year Award from the National Institute for Responsible Fatherhood and Family Development in 1992 and the Leadership Award from the Cleveland chapter of the American Jewish Committee in 1996. He was inducted into the 2007 Class of the International Civil Rights Walk of Fame. In 2004, Dr. Moss was bestowed the unique honor of the Lyman Beecher Lectureship on Preaching, Yale University. He was twice named by Ebony Magazine as one of America’s Greatest Black Preachers. He also holds six honorary degrees from colleges and universities in Ohio, Georgia, and Arkansas. Morehouse College recently named their newest dormitory suites in honor of Dr. Moss.